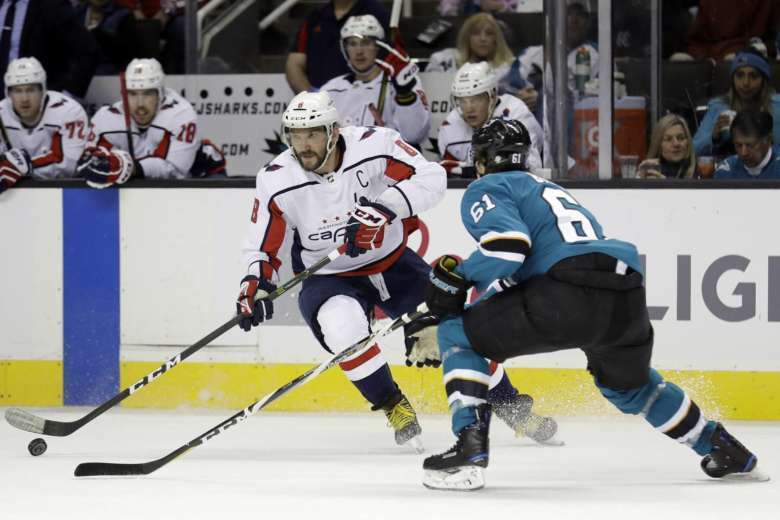 The Washington Capitals look to get out of their funk when they host the San Jose Sharks at Capital One Arena on Tuesday night. The Washington Capitals look to get out of their funk when they host the San Jose Sharks at Capital One Arena. Losers of five straight, the Caps are in need of a turnaround to get their spirits up before the All-Star break. The Sharks and Capitals are both trailing in their respective divisions. With star-studded rosters, both teams can compete for playoff spots, but they each need a bit more to make the final push. Tuesday, Jan. 22 at 7 p.m.
Evgeny Kuznetsov got bumped down to the third line in an attempt to reignite the team’s offense. NBC Sports Washington’s J.J. Regan broke down the line shuffling before the Chicago game. Did it work when the team played the Blackhawks? Although they lost, the Caps still scored five goals. The All-Star break is right around the corner. After the Caps play San Jose, they only have one game remaining. Ending the first half of the season on a good note would allow the Caps to forget about this rough stretch. Opponent watch: San Jose can score goals. Entering the game, they were third in the league in scoring, with 180 goals. Six different players have already reached 40 points. By comparison, the Caps only have three. “I just think from top to bottom we need to be better,” Capitals head coach Todd Reirden said. The Capitals beat the Sharks 2-0 last March in their huge push toward the postseason. Nicklas Backstrom and Lars Eller scored the game’s two goals. The Capitals have only beaten the Sharks 13 times in their head-to-head history. Aside from the Vegas Golden Knights, no team has a better regular season record against the Capitals.